If you’re looking for a high-end tool, Bosch is always a good choice. It’s a brand that’s well-known for manufacturing good power tools for an excellent price. Quite a lot of people think it’s a good choice if you simply buy something that has nice reviews on the Internet. However, it’s a huge mistake because you don’t know if it fulfills your personal expectations. If it seems like a good choice for some, doesn’t mean it’s the same with you. 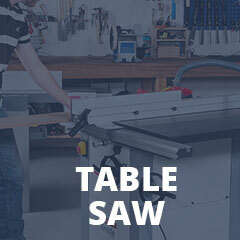 Therefore, before you decide to invest money in miter saws, you have to know what you are looking for. Once you determine that, the rest is easy. We are here to offer some help if you’re in a dilemma. Also, if you can’t manage to find a suitable unit for yourself, take a look at our reviews, and you might find something of interest. Even if you don’t find anything, you’ll at least get some much-needed insight into the performance of particular models on the market. When it comes to this model, it offers everything you’ll ever need for processing wood. It’s accurate, smooth, well-made, and most importantly – affordable. The only thing you might not like about it is the weight. Therefore, don’t expect a great deal of portability if you decide to buy this unit. Bosch never fails to amaze their customers with their quality of production. As soon as you see or utilize the GMC12SD, you can tell it’s designed by people who paid great attention to details. When it comes to high quality of manufacture, Bosch takes an easy win. The design is somewhat expected. It’s sturdy, reliable, and you can rest assured that it’s built to last as long as you maintain it in good condition. Speaking of maintenance, there isn’t much to worry about because it doesn’t require a lot of maintenance in the first place. The measuring components on this unit are excellent. The effort invested in designing and calibrating the bevel and miter elements is obvious. The whole bottom side of this machine screams supreme quality. The safety is okay. A large transparent blade guard is a great thing for preventing bad things from happening. Also, even if you’re an experienced individual, make sure you read the user manual and get familiar with the safety features because it’s always better to be safe than sorry. And, as you may know, these tools can cause severe injuries if not handled properly. As far as the dust collecting goes, it’s satisfactory but far from impressive. Even though these saws aren’t foreseen for extreme dust collecting capabilities, we’ve expected more from Bosch. Some other models that are significantly cheaper have the same or better dust collecting capabilities. However, you’ll probably be satisfied with this model’s extraction abilities. The quality of production is incredible. In fact, the difference between this and most other models on our list is quite noticeable quality-wise. It’s not necessarily a better machine than the other ones from our list, but it’s by far the most reliable one. Having a trustworthy tool is a blessing nowadays, and this particular one is the right choice. The versatility of this machine is excellent. It can be used for a vast array of applications and project meaning you don’t have to buy any additional tools or accessories to get the job done. This model should have more than enough features for a demanding project. The square lock fence is also a neat addition to an already versatile machine. While some other units struggle with the fence system and sliding components, this one doesn’t. In fact, it works quite smoothly. The first thing we didn’t like is the weight. It weighs a hefty 88 pounds meaning you cannot plan on moving it often. Therefore, if you’re in a dynamic environment, think about its weight before deciding to invest. While it’s not impossible to move it, it definitely is a nuisance for many people. Assembly is required, and it can be a pain in the neck sometimes, especially if you’re inexperienced. Many people complained about it being hard to put together. Either way, if you run into problems with assembly, contact Bosch customer support or ask some of your friends for help. People love this unit; it’s as simple as that. The affordable price makes it accessible even for people who are on a tight budget. Even though it’s mainly used by hobbyists, it can be utilized by professionals without any issues. In simpler words, it won’t struggle with demanding tasks whatsoever. Judging by the countless reviews on the Internet, it’s a great machine. As far as we are concerned, we wouldn’t beg to differ. Overall, it’s a good unit if you’re planning on using the full potential of it. In case you don’t, opt for a cheaper one because this might be overkill. As you can see, we definitely recommend checking this machine out. It has a ton of useful features, cuts with high precision, and doesn’t cost as much as one would expect considering it’s coming from Bosch. Make sure you read the user manual and maintain it in good condition, and it should last for years. Needless to say, warranty conditions are excellent because it’s a respected brand. We didn’t find many downsides except the weight. If you’re okay with it weighing 90 pounds, then don’t hesitate to invest. On the other hand, if you’re searching for portability, this unit probably isn’t the best solution out there. In the end, it’s up to you to figure out whether it meets your expectations.